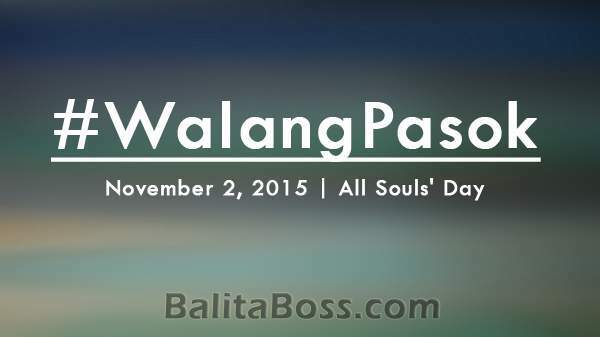 Class & work suspensions updates for November 2, 2015 in observance of All Souls' Day | #WalangPasok - Balita Boss! Some local governments, colleges and universities have suspended classes and office work on November 2 in observance of All Souls' Day and to give Holiday travelers more time to return to Metro Manila from their respective provinces. This list will be updated throughout the day. Keep monitoring this page for updates for #WalangPasok on November 2.